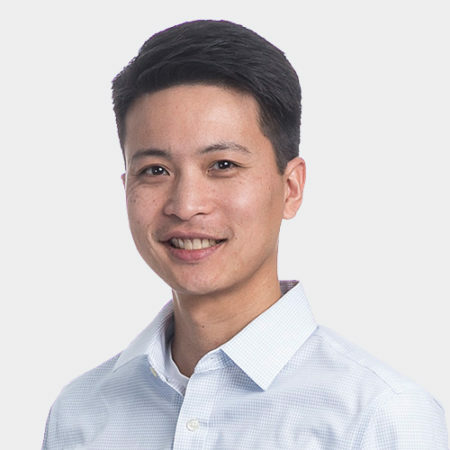 Joseph Yau has been building great things for as long as he can remember, whether it was paper airplanes in primary school, electronic gadgets in intermediate school, or collaborative engineering teams in college. Leading DPR’s business unit in Singapore, he loves that his job constantly places him at the intersection of people and science. After joining DPR in 2002 and managing large-scale projects in Silicon Valley, Joseph launched DPR’s Asia presence in Korea and Singapore, where he is fostering a strong network of local partners, and working with forward-thinking government agencies, developers, designers and contractors to manage projects with international best practices. In 2014, Joseph was recognized as one of the AEC industry’s Top 20 “Best-of-the-Best” professionals under the age of 40 by ENR California. He is an industry leader in integrated project delivery (IPD), collaborative design management, target value design (TVD), BIM/VDC processes, and lean project delivery methods. Favorite DPR core value Ever Forward, because I feel it’s not truly achievable until one has mastered the other three. Business differentiators grow out of differentiators in thought. The Ever Forward core value, in two simple words, profoundly embodies this philosophy. What you love about construction Even the most technical solutions are often rooted in the engineering of different people’s viewpoints and opinions. We think of it as consensus-building, technical collaboration, integrated team behavior. First job During the summers in high school, I worked as an intern in the library of a large law office in San Francisco. Most useful app Unit converters. Probably one of the first humbling experiences of living outside of the U.S. is losing the technical intuition of native measurement units, then seeing how much of the rest of the world doesn’t share this issue. Your hero Anthony Bourdain, who travels and enriches our world views through culture and food. Favorite subject in school History. There’s no better way to understand ourselves and our role within the world than reflecting on how others have experienced it. Those who don’t learn from history are destined to repeat it.